Hello Dealsnloot Readers,Passotime app is available on Google Play Store, which is offering free 20 rs recharge on Sign up. This app is created for chat with people. 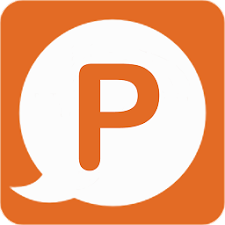 Passotime is a social app with Multi-lingual chat messenger available for Android and coming soon on other platforms.Your mobile number is kept hidden when you meet new people. Passotime is a free Android application.Grab This Loot Offer and Get Unlimited Free Recharge. 1). Download & Install Passotime App : Click Here . 2). After Install, Open the App & enter your number. 3). Now verify your number automatically Or Enter OTP manually ( you will receive a miss call , you have to enter last five digit of that number). 4). Now after Verification Enter your details and in Referred mobile number field, enter this number to get Rs.20 free recharge : 7758880994 . 5). Now after sometime, you will get your recharge. Now start referring your friends and earn more recharges, per referral you will get Rs.10 free recharge. Recharge will be done automatically. you will get 10 rs recharge in your number, & 20 rs recharge, in which you signed up. Clear data & Repeat Same steps again & Sign up with different numbers & earn unlimited. Go to app setting of passotime app and click on clear data. Now Change Imei No, Android Id, google Id. Enter Your previous mobile number in referred box.